When Ontario's minimum price for beer drops to $1 just before the Labour Day weekend, brewers of craft beer probably won't pour any effort into changing the price of their products. When Ontario's minimum price for a beer drops to $1 just before the Labour Day weekend, craft brewers probably won't pour any effort into changing their prices. That's according to ​Rob McIsaac, partner and co-owner of Beyond the Pale, a craft brewery that has been operating in Ottawa since 2012. McIsaac told CBC News that marketing incentives offered by the provincial government — such as limited-time discounts and prominent end-aisle displays at LCBO stores — seem nice, but wouldn't offset the costs the brewery would incur by lowering prices to $1 per can. "Selling it for $1 for us, that just wouldn't be possible," he said. "I don't know if we could actually sell canned water for $1 so we definitely couldn't sell premium craft beer." 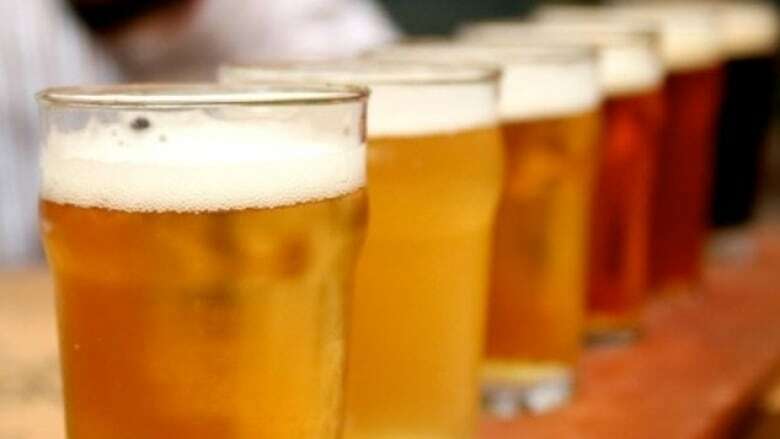 On Tuesday Premier Doug Ford announced the new minimum price for beer in the province, lowered from the $1.25 price that had been in place since 2008. It won't apply to beer that contains more than 5.6 per cent of alcohol, or brews sold in restaurants and bars. McIsaac said only bigger breweries will be able to sell beer for $1 and craft beer drinkers aren't likely to switch just because it's cheaper. "To be honest, I don't think it's going to affect us a whole lot," he said. McIsaac added that, ultimately, lowering the minimum price of beer from $1.25 to $1 is pretty inconsequential. "That difference is negligible," he said. "It seems like a populist political play to try to make a whole lot of noise about something that really doesn't matter to the industry, likely won't benefit consumers, if anything else it's threatening to hurt the small business." The co-founder of another local brewing company, Dominion City Brewing Co., disagrees with Ford's claim that no tax dollars are being used to facilitate the price drop. "Make no mistake, when you are [placing buck-a-beers at the end of a row] at an LCBO, [in space] that you would sell for $7,000 from someone who paid that last month, and you are giving it to someone else, there are tax dollars involved in incentivizing cheaper beer," Josh McJannett said. He would much rather see the province support brewers trying to buy local hops and barley, he said. McJannett's company decided to respond to the provincial government's buck-a-beer challenge by donating $1 per can of a limited-edition blonde ale to organizations that help resettle refugees in Ottawa. "I think beer and warm welcome kind of belong together," McJannet said. "I think we were just nostalgic for a time when people felt welcome and we want to do our part." The cans will be sold for $3.50 each. The brewery hasn't yet decided which organizations will receive the money. The company is planning to have the beer ready for Labour Day weekend, the same time the province has pledged to institute the lower minimum price.